You can find a large selection of cases for all smartphones BlackBerry. Vertical and horizontal-open covers, covers with a section for business cards or money, covers, pockets, cases, bags, plastic covers, cases of increased strength, silicone covers, cases, batteries and covers BlackBerry other types. Different colors, picturesque layout, design, — materials it's all on your individual choice. In this article, we structure the information on cases for BlackBerry. Original — it covers HDW, ASY, ACC, produced under the control of the Research in Motion (Canada, USA) specifically for different models BlackBerry. 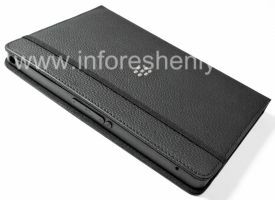 Impeccable quality, are ideal for BlackBerry smartphones. Branded — covers produced by well-known brands such as Seidio, Incipio, Speck, Smartphone Experts, OtterBox, and others. 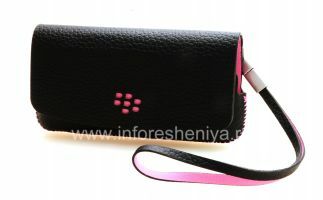 It is specially designed for a specific model BlackBerry covers unique design and for different purposes. 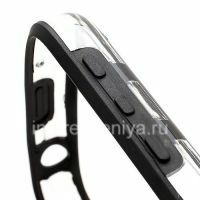 May have additional features, such as impact resistance and water resistance, ultra-thin design. Branded covers BlackBerry — superior quality material and 100% -Compatible. Cases Unbranded — cases as yet unknown producers. It features a large number of designs and colors. We choose for you the most interesting and high-quality covers. 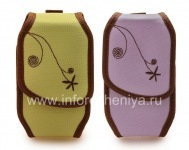 Case-pocket (Pocket Case, Pouch Case) — is the most favorite format is a "receptacle" smartphone, and it is easy to put your BlackBerry and remove it, as well as in the pocket of your trousers or jeans. Pouch with belt clip (Clip Holster, Swivel Holster) allows you to leave empty-pockets, it is especially important for those who like to wear pants and business suit. There are cases, and with a removable clip. Note that the correct insert BlackBerry in this case inside the screen, rather than outside, as many mistaken. Case-Holster (Holster Case) by its purpose resembles case with belt clip, but has the fundamental difference between a smartphone — it does not fit in, and inserted into a special attachment. This simplifies the extraction devaysa, and it leaves open a rear surface which is usually, BlackBerry logo placed beautifully. 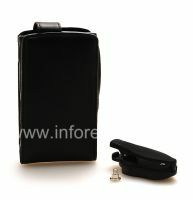 Cover with fastening — the same case with a clip, just as the mounting clip is not used, and some other element, such as gum or a mechanical connection. Pouch wallet (Purse Case) in addition to protecting your BlackBerry allows you to keep money and credit cards. Pouch with Strap (Tote Case) — option for carrying a smartphone in your hand, like the covers for the camera, or keys. The best option for those who do not part with your handheld device is almost never. And, of course, is simply stylish. 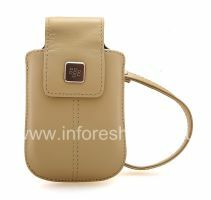 Pouch Bag (Folio Case) for BlackBerry convenient for those who wear the phone in a briefcase or. bag. Outwardly, this covers a format very attracted attention from. Cover vertical and horizontal-opening (Flip Case), as well as cover-folder (Journal Case), it is a solution for those who need quick access to the screen and, at the same time, reliable protection devices. 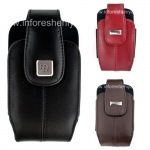 Such covers BlackBerry also often have compartments for money or credit cards. Silicone Case (Silicone Case) — «flexible» protection devices, it need not be removed each time before using the smartphone, and the same way, it saves time. Silicone Cases have all the necessary openings for access to the terminals, such as a USB port and the headset. Reinforced silicone case or TPU Case (as Soft Shell Case), is a more dense version of the silicone cover and generally provides greater protection. Plastic bag (Plastic Case) also resides on the device, and provides access to all connectors and buttons control BlackBerry smartphone. 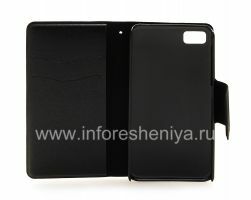 Case-Cover (Hard Shell Case) — case that protects only the back of the device and its side surfaces. As the name implies, it is worn as a lid, it allows you to remove it quickly in case of need, however, it is rarely necessary. 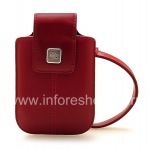 The material of the covers, lids is usually plastic, but may also be made of metal, and for example, leather inserts. Case with Stand (Stand Case), or the Case with stand function, useful for watching movies or a slideshow of images. Smartphone in such a case can be quickly put on the table and hands-free viewing videos. Cover-battery (Battery Case), as the name implies, it has a certain charge and allows you to work with your device longer. Of course, it also protects your BlackBerry. 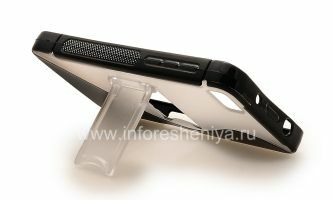 Case-bumper (Bumper Case) only protects the surface of the side of the smartphone. Given that most often falls on a smartphone side surface, it is quite suitable for protection. And as a plus — minimal intervention in the design of your BlackBerry. Complex cover consists of several component parts, which typically can be used independently. For example, a cover made of silicone, which is inserted in a plastic holder and a detachable clip. Case ruggedized (Defender Case) is designed for maximum protection of the device. This is very useful for builders, tourist travel enthusiasts, anglers and many other users — everyone can assess the risk of damage to the device itself. Such covers can protect not only against mechanical damage, but also, for example, from moisture. 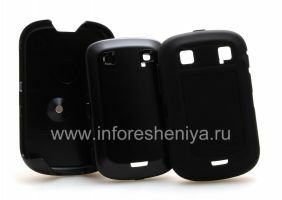 Case-to-case (Housing Case), in fact, it is the second body of your BlackBerry, covering it from all sides. 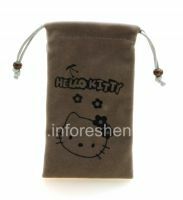 Pouch bag (Bag Case) allows you to put your smartphone inside as in a bag, because its dimensions exceed the dimensions of the smartphone, and this cover is usually a fabric material. 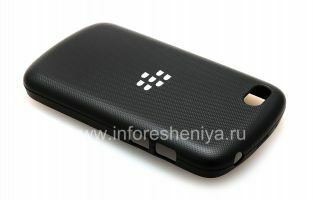 Such cases are universal, that is suited to many models BlackBerry, and not designed for one specific. An important characteristic of a cover for BlackBerry is the ability to work with a magnetic BlackBerry technology that lets you know it is a smartphone or not cover (inside these covers has a magnetic sensor that is triggered as soon as the phone was inside). At the event "in the bag" and "extracting" the operating system and third-party software "cling" various events, it allows you to get a lot of different advantages and features that save battery life by up to enhance the usability of the device and change the notification settings. 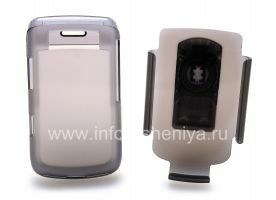 For example, for battery power savings when BlackBerry in the holster come off the screen backlight and keypad lock. And for convenience alert the user can select different options for the phone to sound (vibration, ringtone, vibration + melody, LED-indicator), while in a case the phone will automatically use the same sound program, and without it — another. And, of course very convenient to adjust to when placing the smartphone in case it is automatically blocked by your password. The range covers for BlackBerry in our directory the most comprehensive, and is able to satisfy the most refined tastes — choose exactly what you like! 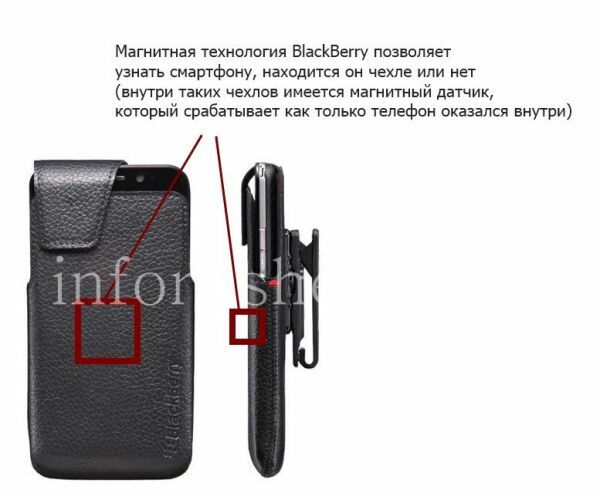 You'll see detailed pictures of covers for BlackBerry, and read their descriptions. This original covers RIM BlackBerry (HDW- codes, ASY-, ACC-), and covers more than 20 brand-established brands (Seidio, Incipio, Case-Mate, PureGear, Smartphone Experts, OtterBox, Monaco, Targus, Cellet, Wireless Xcessories ( Wirex), T-Mobile, Nite Ize, Golla, Krusell, Body Glove, Speck, Nillkin and others), and cases of other manufacturers. 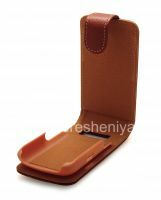 Choose cover can be selected on page accessories for your model BlackBerry or by type (format) the cover . You can always consult with our experts before purchasing, as well as independently, and "live" to get acquainted with the goods.